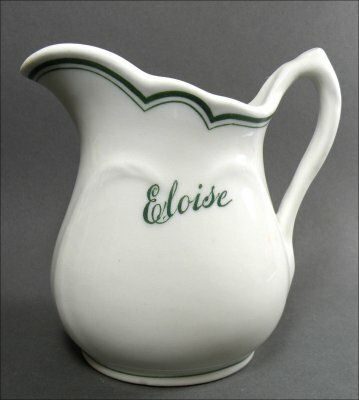 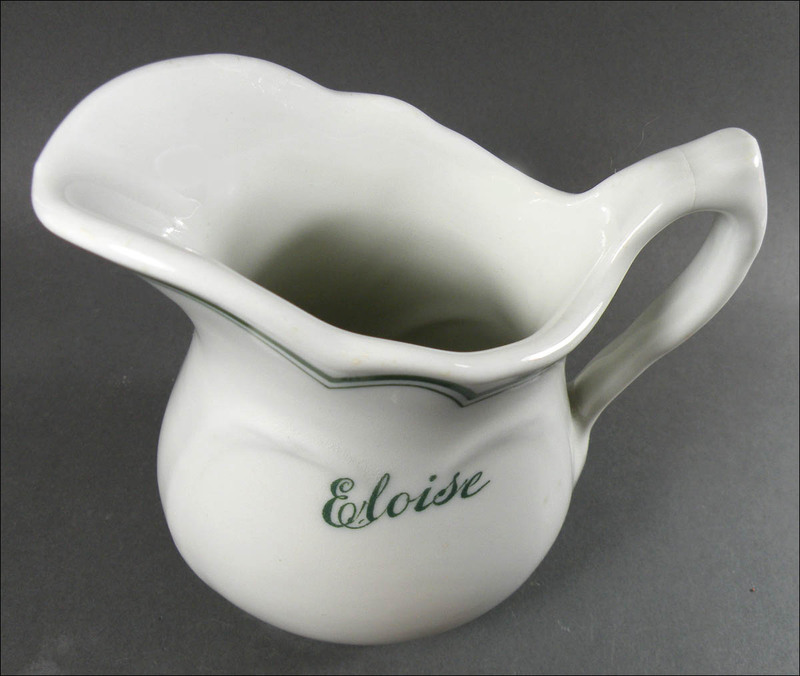 This very hard-to-find pitcher was made for the Eloise Asylum, located in Wayne County, Michigan, for more than a century. 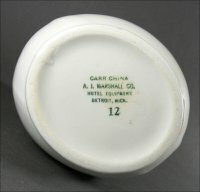 You can read a bit about its history on our website: http://carrchinacompany.com/topmarked-html-docs/eloise.html. It is approximately 5 1/2 inches across, including the handle, and stands about 5 1/4 inches high. 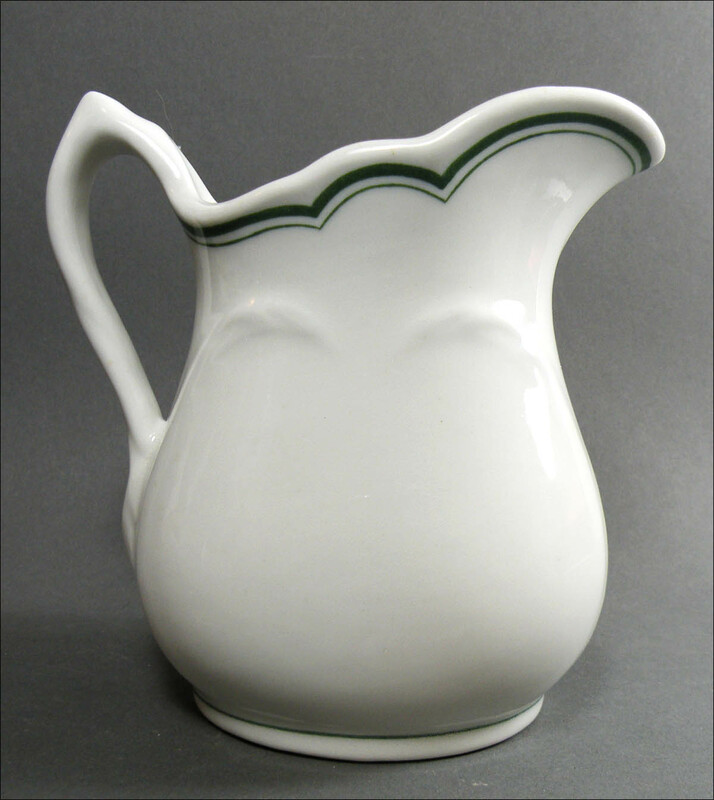 Its condition is generally excellent with only light wear, but it does have a crack across the top of its handle, shown in the photo below taken from above.